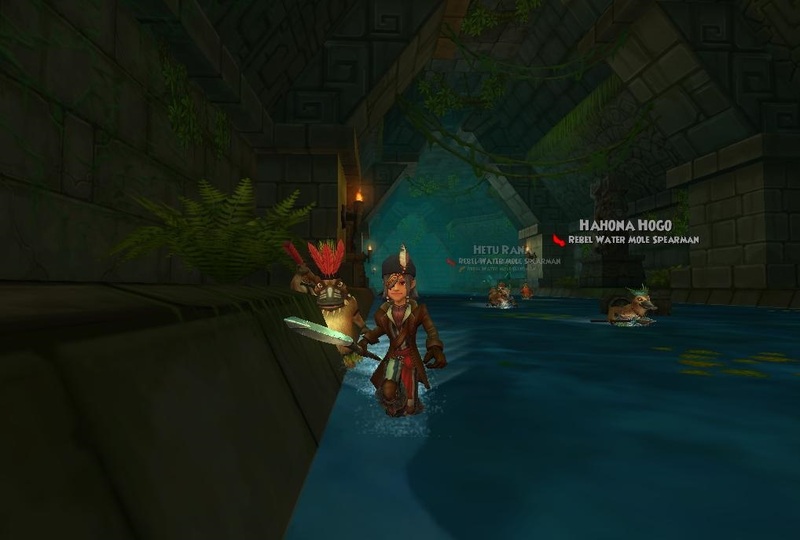 Mina and Mormo begin t' run through t' Tombs. Mina looks at Mormo I see why you don't like spiders they be creepy. As they runnin' Mina see some interestin' thin's like this Glowin' eye statue. Finally! they find Haku and make quick work on defeatin' him, only t' find out that He raises a Ancient Mumme t' defeat Mina and her crew. That Mumme almost had them until Bonnie Anne hits him a giant burst o' sparks. Haku be say'in that he will make peace with the Monkeys, Mina and Mormo head back to the Foreman. 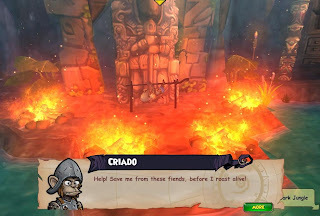 He pays them with gold and tells them about Gortez and that the Golden Monkey is cursed, then he sends them t' talk t' a Monkey named Criado. Mormo looks at Mina and says I think this monkey sendin' us on a wild monkey chase. They come t' t' campsite only t' find it destroyed. They find a rock that tells them t' monkeys hid in a cave. Once inside t' cave a Monkey named Ramos tells them that they have t' get pass a swarm o' bees. Mina thinks, Nope t' bees. Ramos explains that they be trapped between t' bees and troggies but if they can find Criado and rescue him from sacrifice cave, He would be able t' tell them how t' get through t' bee swarm. " Mormo no want t' be sacrificed Mina Not use silly, we rescue. When thar find out monkey be bein' cooked! 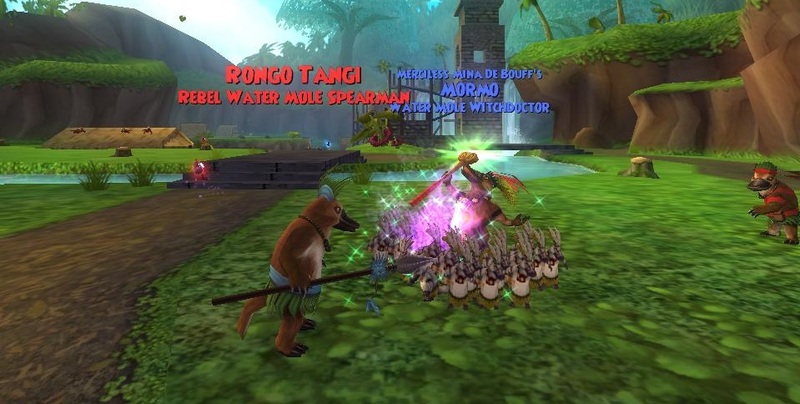 Mormo We help put out fires and save Monkey, Aye Mormo Mina says. After savin' monkey he tells mina only way t' see t' Gold monkey be t' get through bees be t' make a paste from troggie poison and lotus flowers. 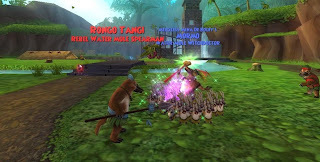 More troggies? Mormo says , Aye Mormo, Aye. 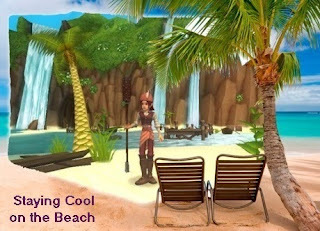 Thank ye Talk like a Pirate translator, Without ye Mina's tales would not be so Piratey. I want to thank everyone who entered everyone did an amazing Job on your collages. Here are the entries I received. Also prize will go to Oran BattleTammer who's image I could not get to work. 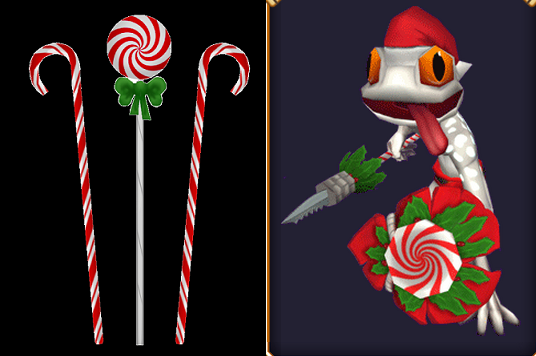 Now through Sunday, July 28th 2013 you can pick up those most wanted Holiday items in Both Wizard101 and Pirate101. 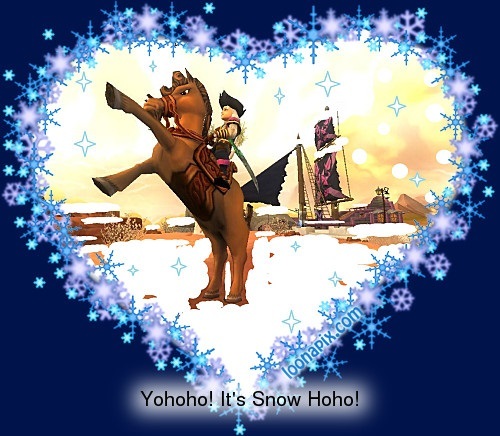 You can even visit Felix Navidad in the Shopping District in Wizard101. 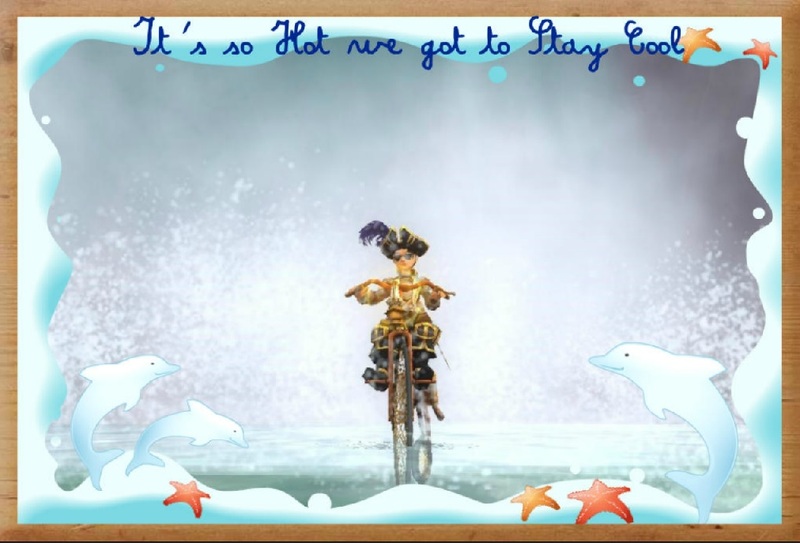 So take a break away from the heat of the Summer with some really great cooling fun. 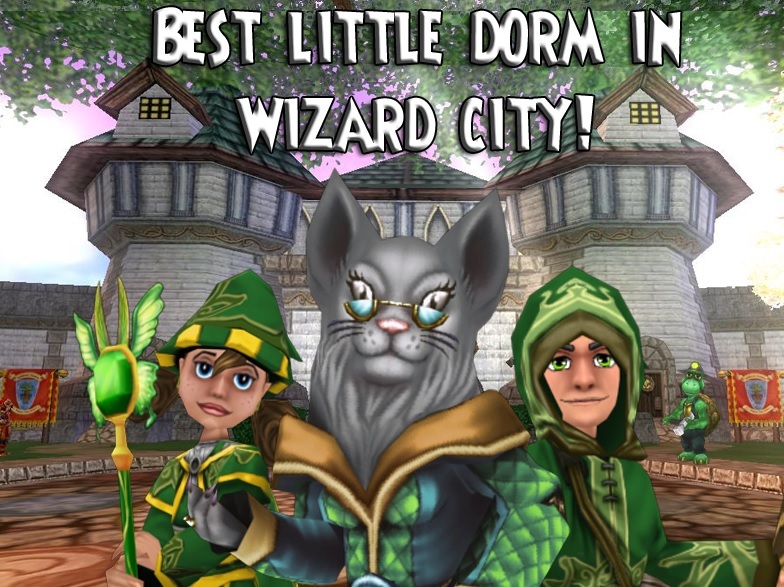 Forth Annual Best Little Dorm in Wizard City Winners!!!! Congratulations Best little Dorm House winners!!! Everything completed early!! Wednesday Post! Our 4 judges certainly had their work cut out for them - but, they did it!!! They have found the winners for the 4th Annual Best Little Dorm contest. So many amazing entries! 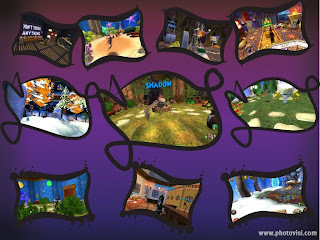 Each entry was scored by 4 categories: (1) Use of the 5 items (2) Paragraph One (3) Paragraph Two, and (4) Over All Theme. The maximum score that could be given was 160. Thank you to all who entered! 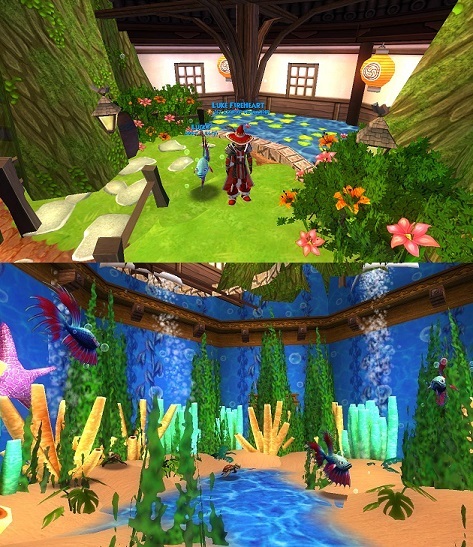 And to all our winners who put so much effort and talent into creating a perfect habitat for their pets! As with most of the Dread Grimoires they live in libraries of many different types, Lord Brady lives in The Library of Purple Poises. This is the library where you can learn how to use the power of the purple poises to remove spells that immobilizes other wizards essentially turning them into mannequins. With the help of Lord Brady and his mighty library, wizards young and old learn how to transport victims here and how to make the special tea needed to remove the evil spell. 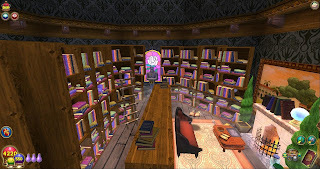 As you enter the library you can see a Stone Rose (stone) in the center of the reading table, it is there as a symbol of what the evil spell can do to any living item, not just wizards. 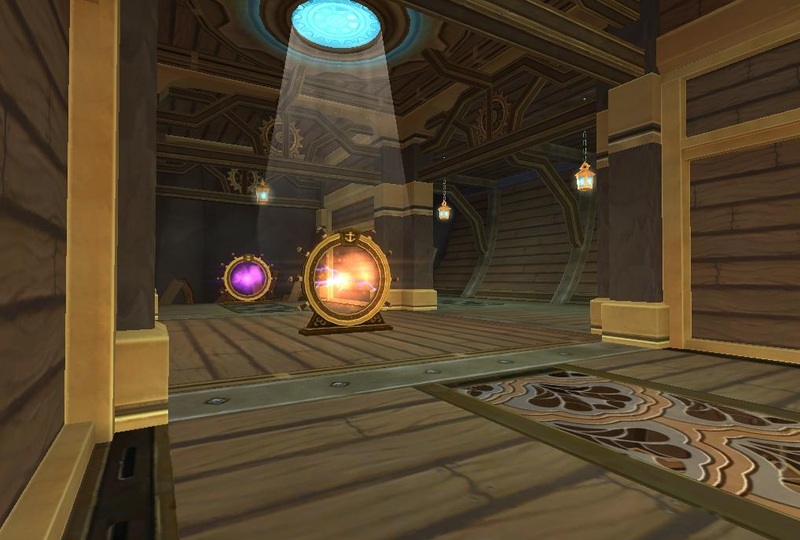 You can also see the Shield of Valor (wall hanging) hanging on the wall which symbolizes the effort and honor needed to accomplish the reversal of this spell. The Stopper Jar (Jar) contains the dry purple poises used in the spell and the Tea Set (yellow) is used to brew the concoction. Once the concoction is completed the fumes from the tea cup allow the victim's (Mannequins crafted) mouth and throat to start working enough to drink the brewed tea. With in 2 hours the spell is completely removed. The front doors you walk through of the Wizard City Library are not the true front doors. 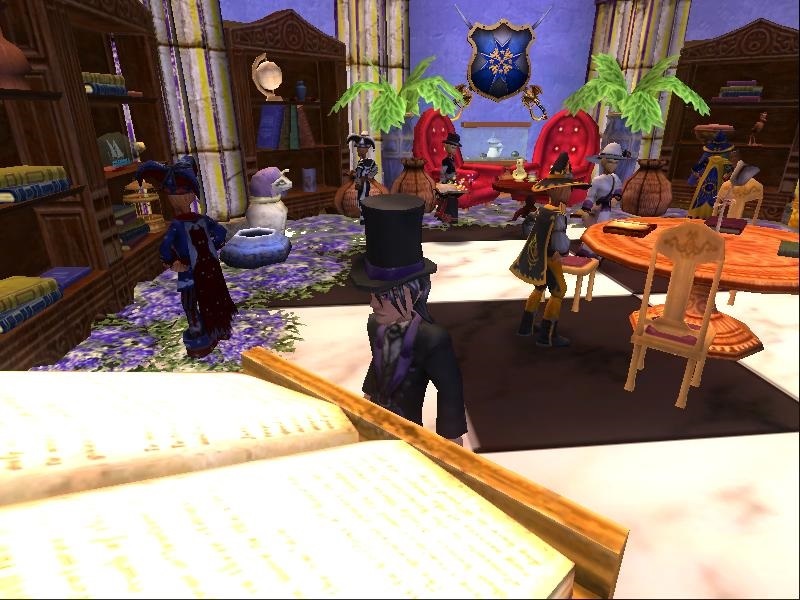 The lobby you see today is an expansion upon the old library from when Ravenwood was just beginning. Deep in the remains of the old library is the restricted section which is a small room, a place where very old and very dark magic is kept for the purpose of knowledge.This place is called the restricted section. Most have forgotten it even exists as the magic contained in the books has been banned from use as well as the room being lost somewhere in the old wing of the library. It is those facts makes it the perfect habitat for the Dread Grimoire. The Dread Grimoire resembles a very old book because it once was a simple book. 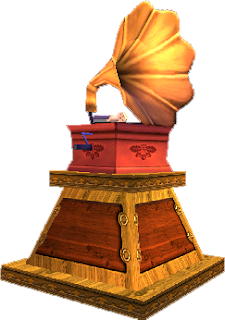 It contains more knowledge than a wizard could learn in a lifetime, and if the magic contained within the pages of a book is great enough, it may animate and take on a life of it's own, such as the case with the Dread Grimoire. They are hungry for knowledge and what they don't know from their own pages can be learned from the thousands of books on the shelves around them. Most of the Dread Grimoire remain back in the furthest shelves from wizardly eyes, soaking up knowledge and living peacefully undisturbed among the dusty shelves. Some wander out a little further towards the fireplace, occasionally lighting it themselves to take the chill out of the air as even books dislike being cold. The oldest and most powerful books are the ones we see in the spiral today. They have learned all there is in the old library and have wandered out for new information, only to be captured by curious students. Thankfully they do not teach the dark magic from the restricted section. Sadly, the hand crafted shelves have fallen from their original place over time, being shuffled around by unnatural earthquakes caused by the Myth students from Ravenwood. though the Dread Grimoire don't seem to mind it. They remain standing tall, making it hard to see the whole library at once, but making it magical to look around at the same time and discover books you've never dreamed of reading. Above the fireplace, partially hidden from view by some ancient text books, is a painting of an old estate. 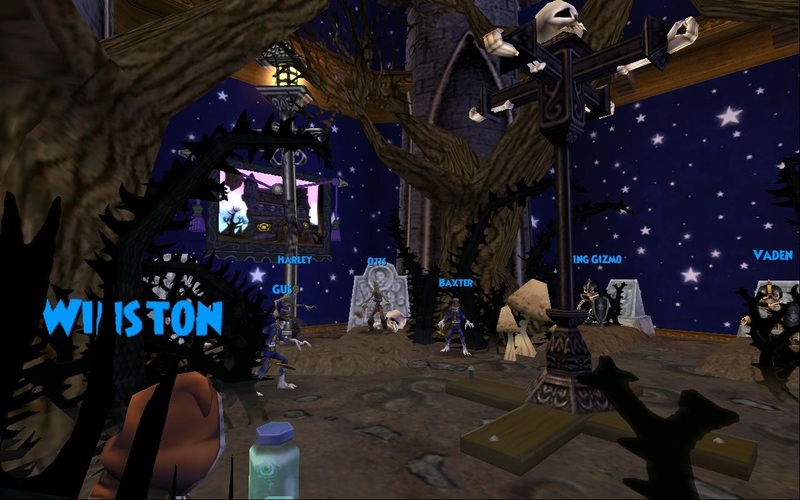 Not many know this, but Ravenwood wasn't always separated into towers. It was once one large school though as time tends to move on, and accidents do happen when training magical children, the school needed to be rebuilt and it was agreed that each teacher would have his or her own building with an attached tower to teach, so as not to disturb one another. The fog rolling in from inside the bookshelves? Possibly a book about weather was left open. Could the book with yellowing pages on the table? 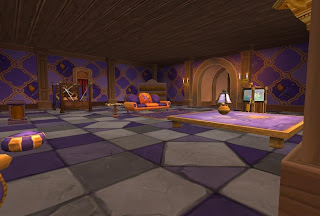 As for the mess in front of the fireplace, that is unfortunately not normally found in the Dread Grimoire's natural habitat considering they are naturally clean beings. It seems one of the few who learned of this rooms power has come in search of a spell, and it looks as though they found what they were looking for by trapping one of the Dread Grimoire. 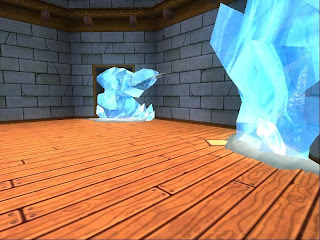 Dark magic has been cast from this room recently and the culprit left a mess behind including a jar of bat wings, a dragons eye in a jar, the beauty of a rose captured in stone, and gold... Was this the work of Morganthe or her servants? It seems to be some sort of summoning spell, though what would someone summon from the restricted section? Certainly nothing good. Too bad we can't ask the Dread Grimoire what happened, so we had best check with Headmaster Ambrose to see if he has any ideas on what to do about this. 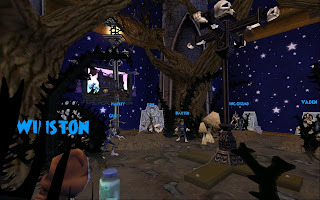 I found this part to be challenging as well as fun.. for the Crafted Item I have the Directional Arrows item, for the yellow I have the glow of the Munched Lamppost... for the Stone item I have all the gravestones and the Dark Stone Towers, I have the Nightside Tapestry for my Wall Hanging (Death Plaques/Shields are wayyy too boring.) and for the jar I decided to put a little story in my dorm.. Winston the Skeletal Warrior stole one of Vaden and King Gizmo's eyes and put them in jars, haha. (Eye Jar item) Now Vaden and Gizmo try and get them back when Winston's not looking! I put a bone hand clenched around one of the jars so they'll have a harder time, haha. Don't think this is visible in my pictures, sadly. Hello, my name is Luke and this is the story of how Lucky became my pet. 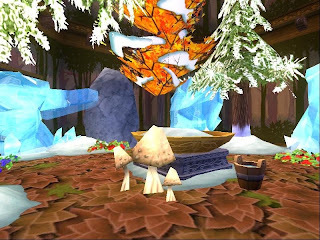 To find out where Lucky grow up, we had to travel to the land of Mooshu deep deep into the forest were only the Emperor knows about. Here we find the Garden of Dreams, this name was given from the Emperor himself after he found the garden. As we jumped into the pond, we meet all of Lucky's family and friends. This is the place were he grow up! Lucky begin to tell me all the amazing things that he got to do when he was a kid and how the Emperor saved his mom and dad from death! 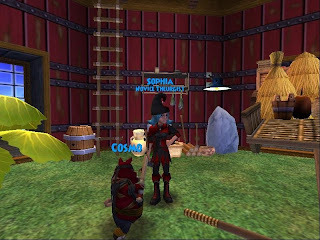 As for me, after I helped save Mooshu from Malistaire and healed the Emperor, he decided he would show me the Garden of Dreams that he had never shown anyone in his life. 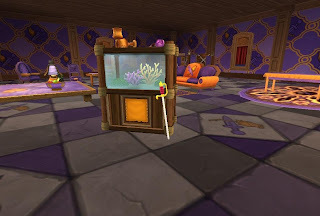 To thank me for saving the world of Mooshu and his life, the Emperor decided to give me a betta fish that I would call lucky. After lucky and I went to see his family and friends, the Emperor was so happy we came to visit that he invited us to dinner. Later that night, the Emperor decided to tell us how he founded the Garden of Dreams. 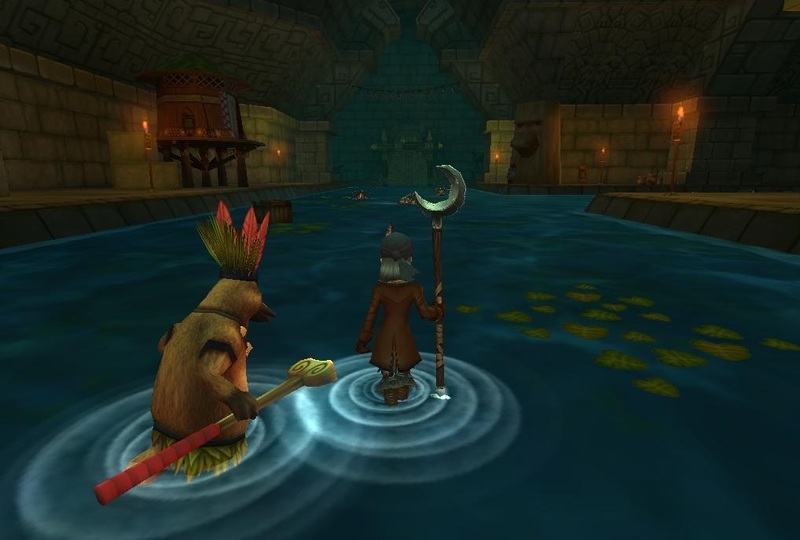 When he was just a boy, before he became the Emperor of Mooshu, he had found a small pond that was polluted and all the life around it was ding. When he looked into the pond, he found two small batte fish that would one day become luckys mom and dad. He decided to rescue them before it was two late. Later on he decided that he would clean the pond and the garden so it would come back to life again! He started cleaning out the pond by adding new sea animals like the starfish hanging on to the sides of the pond. 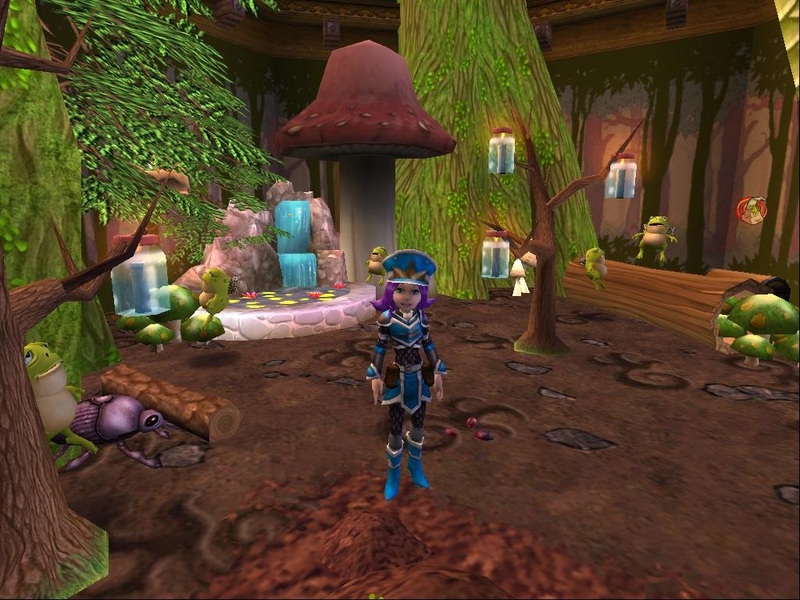 He also decided to lay down new grass mounds that were crafted by magic to help the garden grow. To help find his way back to the garden, he decided to place stones cut by himself to make a path. He also decided to light the pathway with yellow lights so he could find his way back home at night. The garden was back to new again! After he became Emperor, he decided to bring Luckys mom and dad back to the pond and also decided to bring a large jar of fish food so he could feed them everyday. Soon after that, lucky was born and everyone lived happily ever after! I loved the way Alexis utilized the empty jars. Who doesn't love a Toaddle? Nathan, I really liked the way you incorporated your paragraph's into a royal decree from King Artorious himself, it really gave me the sense that you put work into your Entry. 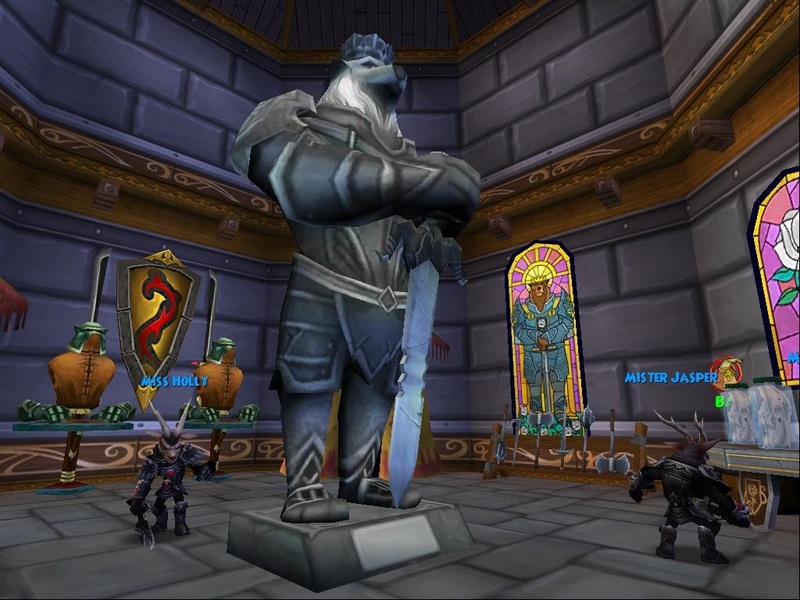 As for the decoration, the first thing that caught my eye was the Stained Glass windows, it implies that it's a noble place to be (Churches, Palaces etc).I also really like the way you've put practice Dummies and Weapon Racks it gives it more of a Realistic Feel/Look to the dorm, and having the Statue of the king in the middle shows that it's not any old sparring chamber, it's the best of the best. Loved the story and it fit the look of his dorm as well. I love how the paragraphs and screen shots works together to tell the story - it is a complete package to me. Winners are have/being mailed. Thank you for your patience. All Emails have been sent out. Ryan the Relentless, Class Housing , Furniture and more! 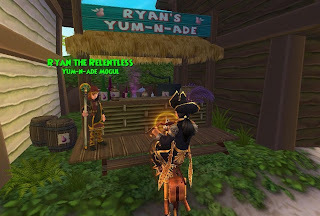 Ryan has set up shop across from Kraken Skulls tavern and for 100 gold you are able to refresh your health with a nice mug of Yum-N-Ade. Thanks Ryan that was delicious. Pirate class housing, each house comes with it own unique style for each class. Hidden tunnels, traps even a giant sea squid in the Buccaneers house. 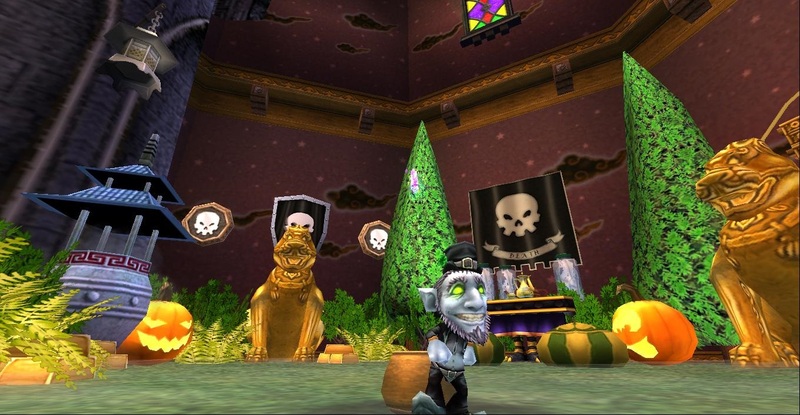 My favorite part is the Roses that fall from the sky in the swashbucklers house and the cannons in privateer's Although I am kind of worried that Nervous Neville's Flag he has Bull-eyes all around his house. I really like the class looks swords for swashes and so on. 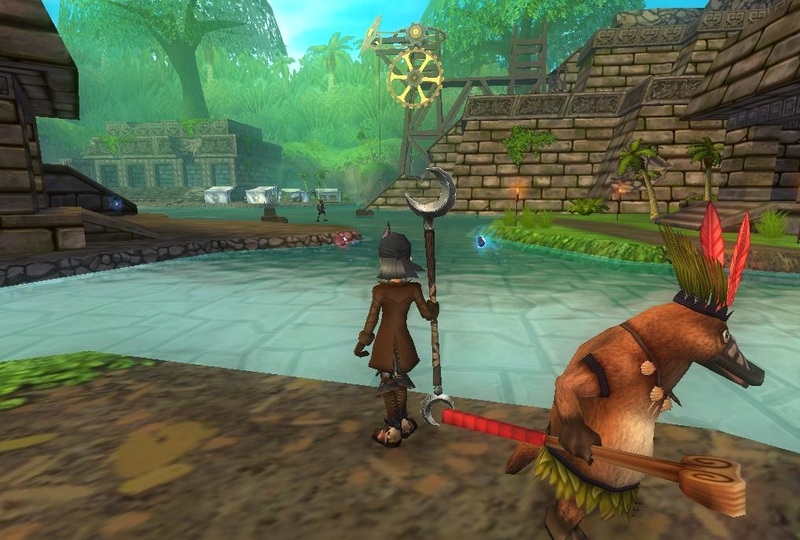 To find out more about this amazing update check out Pirate101.com Update notes. Well Time to get decorating! We Pirates sure be knowing how to stay cool in the hot summer. This Pirate be loving all of it and knows how to stay cool now! Great job everyone. Dylan? He finds the closes swimming pool. Best Little Dorm Contest is now closed . 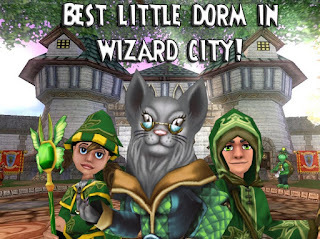 The Fourth Annual Best Little Dorm in Wizard City contest starts now! Hurry! 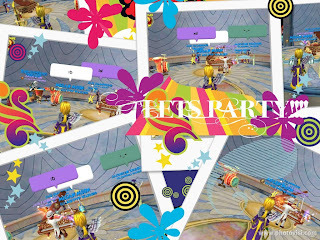 You only have until July 21, 2013 6:00 pm Central to enter. First twist: Decorate your dorm to represent what you think your Favorite Pet’s Natural Habitat themed dorm would be like. Example: A fish wouldn't be in a bed room or a flying pet in a cage. They would be in water or flying free. "Favorite Pet’s Natural Habitat" Where the pet would live in nature. 1. Jar- Can be any type of jar. The word Jar has to be part of the item. Example: Empty jar. 2. 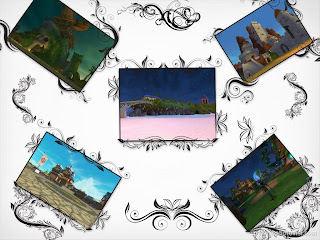 Wall hanging- Can be any type of wall hanging or picture. 3. Rock/stone - Can be one rock/stone or many types of rocks/stones. Be creative with your choice of rock item. 4. Yellow - The color yellow any item that is or has the color yellow on it. Pet, wallpaper or flooring will NOT count as yellow item. Paragraph 1 -Write about how your dorm represents your Favorite Pet’s Natural Habitat. * Using all 5 items pictured above, you must decorate your dorm in your Favorite Pet’s Natural Habitat Theme. 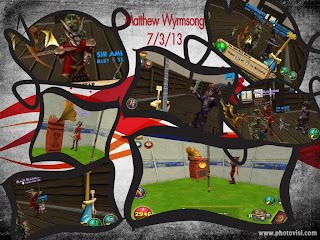 * This contest begins July 8, 2013 and ends July 21, 2013 at 6pm (Wizard101) Central time. A. Your wizard (with name showing) must be in one the screenshots. 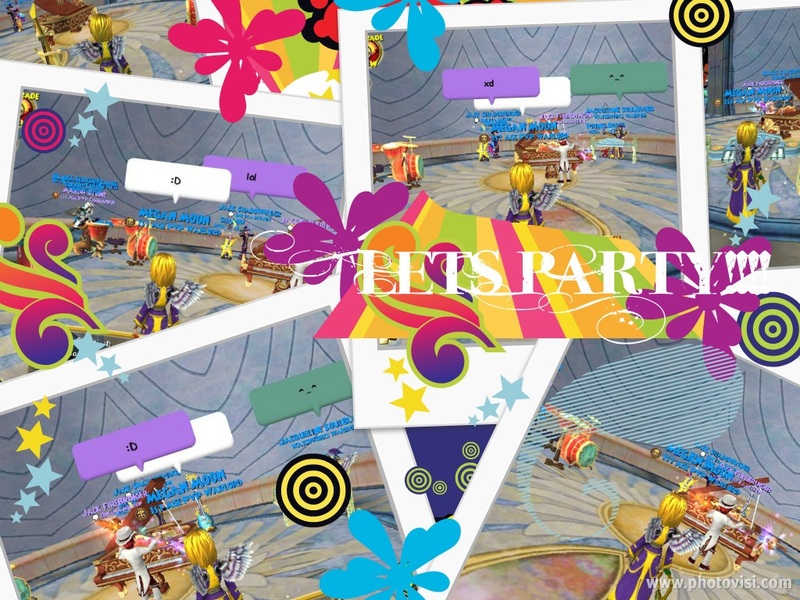 Following the official rules posted above, you will decorate your dorm In your Favorite Pet’s Natural Habitat theme and submit with no more than 3 screen shots of your dorm along with your 2 paragraphs by July 21, 2012 at 6:00 PM Central US time. Late entries will not be accepted. Please make sure it is correct before sending your entry in. Any entry with more than 3 screenshots and more than 2 paragraphs will be immediately disqualified. No exceptions." No editing will be allowed on screenshots. Please take your time and make sure everything is just how you want it. 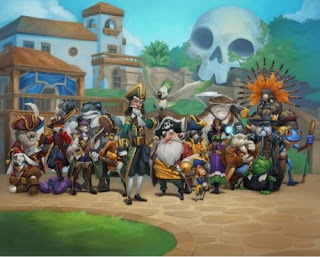 Please read the Questions and answer in comments before you ask your question it is mostly like already answered. If you get to bottom of page LOAD MORE for more Q & A. Please do not ask a question that has already been answered a few times . I will not answer the same question that has already been answered please read the Comments to find your answers. LAST DAY Q & A is over . Today I'm going to take time to show some basics, such as; Placing big items into wall ,adding details and placing items that normally just don't want to go inside. First let's go back to some other posts. All of these links will help any Wizard Decorator achieve that dream dorm room. 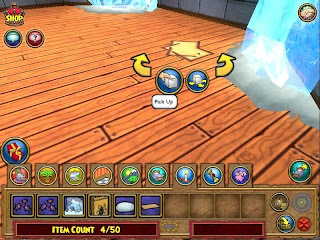 Place large item on mat and then move it into place. Take a second mat and place it on top of edge of first mat. Now use the scroll on your mouse and turn them until they are away from placed item. 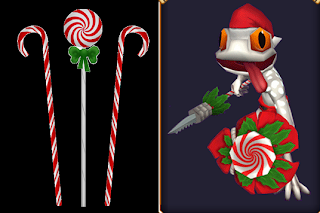 Now simply pick up both mats. 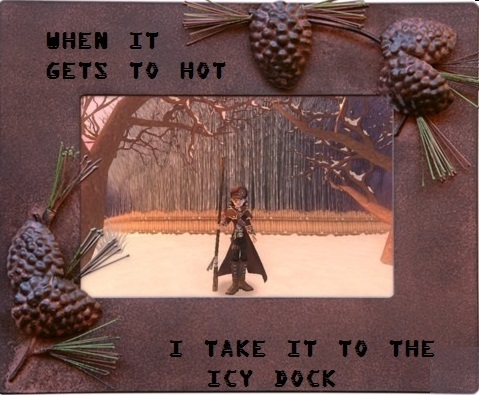 It's so Hot we got to Stay Cool! * This contest begins July 3, 2013 and ends July 10, 2013 at 6pm Central time. 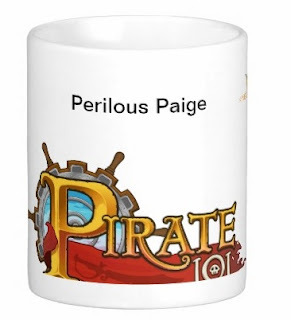 * Send your in game name ,such as Perilous Paige with your entry. 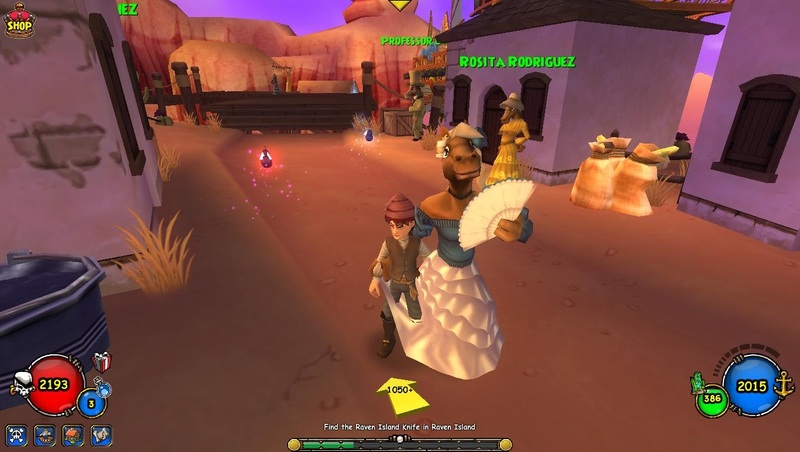 *Send your screenshot to Contest@paigemoonshade.com email with title "Staying Cool." *Make sure everything is correct before sending in entry. *All prize winners codes are sent via their entry email. Please make sure you have the correct email. 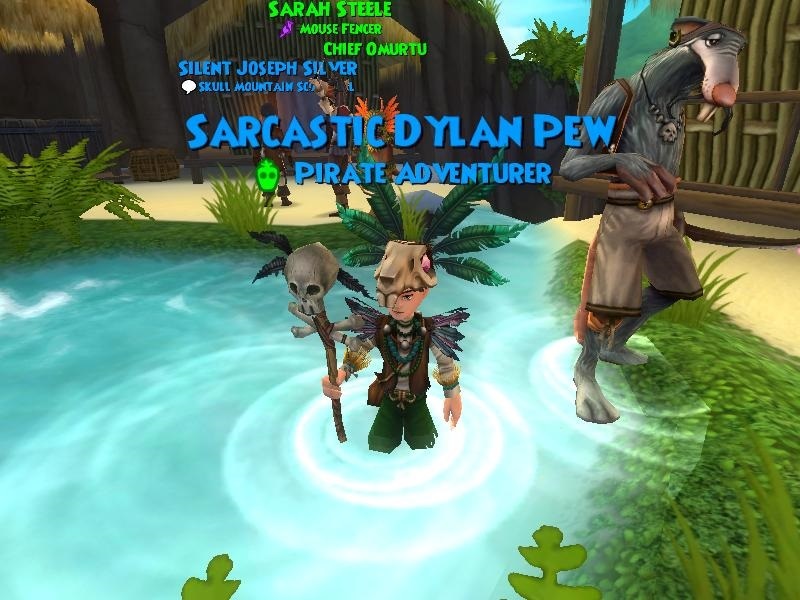 This Pirate showed how to stay cool in this summer heat! 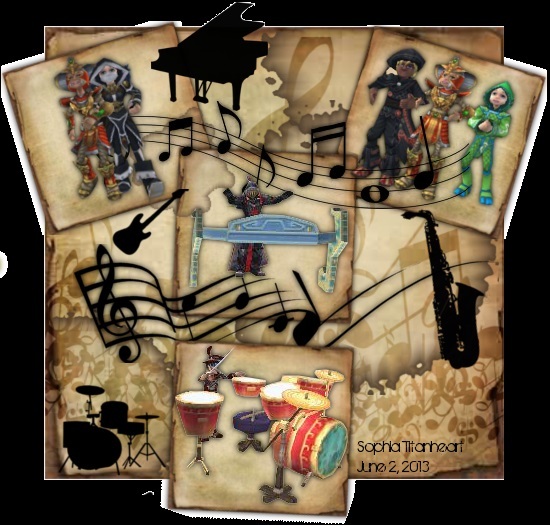 Music Festival contest From July 1, 2013 - July 25, 2013. Take a pictures of your Wizard and your friends making music or just having fun. 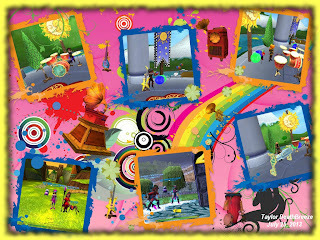 Frame into a collage.You may use photovisi.com If you like they have some really nice frames or make one yourself. 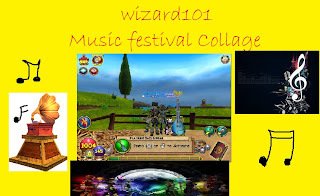 That is where I made my collage banner for this contest. Really simple to use, all you have to do is click start creating. 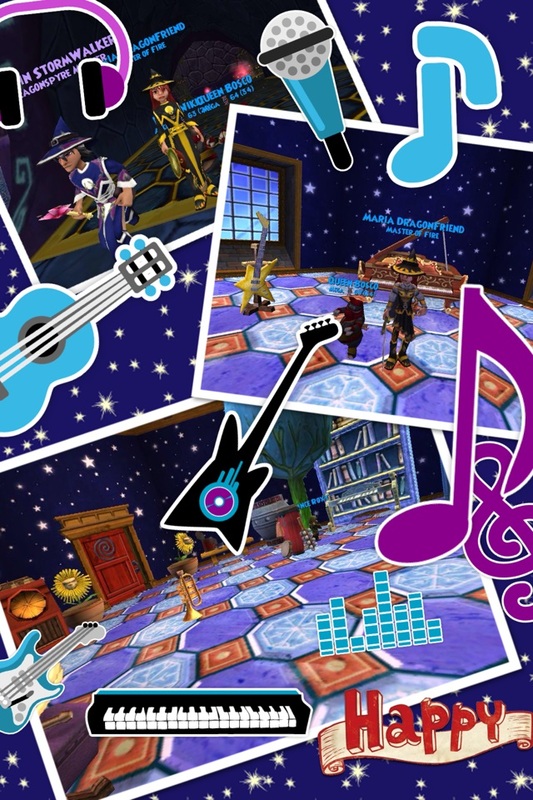 * Take a screenshots of your Wizard and your friends making Music, or just plain having fun!. * This contest begins July 1, 2013 and ends July 25, 2013 at 6pm (Wizard101) Central time. * Take your screenshots and create a fun Collage , like in the banner ( this was actually my first one and very fun to create) Be creative! * make sure to send your in game name such as (Paige MoonShade) with entry. *Send your Collage to Contest@paigemoonshade.com email with title "Music Festival." *Take your time you have until July 25,2013. 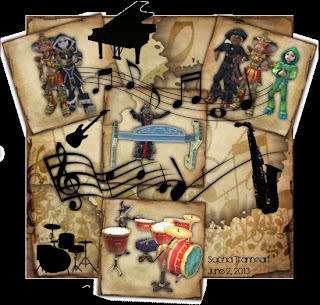 If you Follow my twitter feed Paige Moonshade I will also be doing to random trivia throughout the month of July for Music instrument codes. 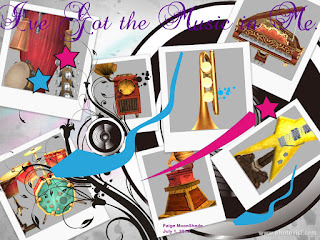 Prizes will be music instruments. Mina lands at t' isle o' Doom, Mormo says captain this place seem t' a tomb. Mormo say He not like spiders. 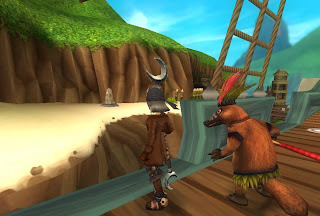 Mina and Mormo leave their mighty ship and go out t' find t' Foreman. Foreman Sal says t' monkeys been without food for a long and welcomes Mina t' t' isle o' Doom. " a lovely place if you can avoid, wait! What? parasites!? Mina dun want those. Foreman say Mina be okay if she do not drink t' water.